[Update]: You can watch the hearing live right now. All the major tech companies at the center of the Russia’s alleged disinformation campaign appear to be breaking news in a concerted effort to share real numbers before they are revealed in front of the first judiciary hearing today. While first denying having any role in the disinformation campaigns, Facebook is now saying that the inflammatory posts reached over 126 million users on its platform. After calling it a “pretty crazy idea” that Facebook was used to influence the American public, the company – after a push from Washington and the public – had discovered that over 3,000 ads were bought by Russia-linked accounts that had reached over 10 million people. The numbers were then refuted by an independent researcher who had used the minimal publicly available data to suggest that at least 20 million people were reached by Russian ads during the presidential election campaign period. With Facebook, Twitter and Google appearing before the Republican Senator Lindsey Graham’s subcommittee on crime and terrorism, reports have appeared revealing the numbers that will be shared with the Senate panel later this afternoon. In a report published by The Wall Street Journal this morning and based on “an advance copy of the remarks,” the social networking giant estimates 80,000 pieces of content may have been viewed by a total of 126 million people, far more than Facebook’s initial numbers. 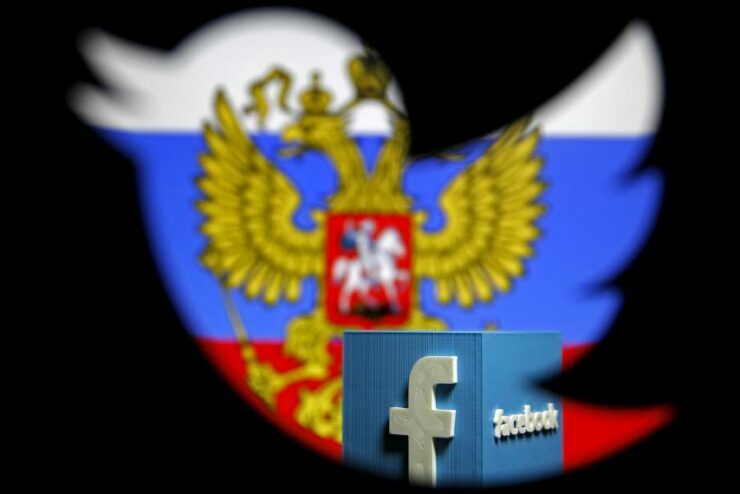 The company estimates that the 470 accounts backed by Russians that are connected to a well known pro-Kremlin “troll farm” known as the Internet Research Agency (IRA) released over 80,000 posts on Facebook between January 2015 and August 2017. This is probably the first proper acknowledgement from Facebook of the influence that Russians had using its platform. The advance copies of the remarks were also sent by Google and Twitter, two other companies in the middle of this disinformation campaign. At this week’s hearings, Twitter will tell the Congress that it found over 2,700 accounts linked to the Kremlin-backed IRA. Similar to Facebook, Twitter had also initially downplayed the severity suggesting that only 200 accounts were used for this disinformation campaign. The company will also share more details on how Russian-based bots were used to fuel the original 131,000 tweets posted by the now-deleted 2,700 accounts. Google in its report and an accompanying blog post revealed that over 1,000 videos were uploaded by 18 accounts on YouTube associated with the Kremlin as part of this campaign totaling 309,000 U.S. views from June 2015 to November 2016. This is the first time the company has talked about its internal investigation, adding that it has discovered $4,700 worth of search-and-display ads with likely Russian ties. While being a search giant, the company so far appears to be the least influencing in the alleged Russian election meddling campaign. The company in its report added that state-sponsored media outlets (like RT) are subject to standard rules and won’t be removed from the platform. “While we have found only limited activity on our services, we will continue to work to prevent all of it, because there is no amount of interference that is acceptable,” Google wrote in a blog post published today. All three companies are appearing in front a Senate judiciary committee later today to explain how Russians used their platforms to spread disinformation in the American society across party and ethnic lines. On Wednesday, they will be back for two back-to-back sessions before the House and Senate Intelligence Committees.